While there are a variety of ways that webmasters and bloggers can go about marketing their services and promoting their content to earn revenue, one option that typically gets overlooked is the Amazon Associates program. 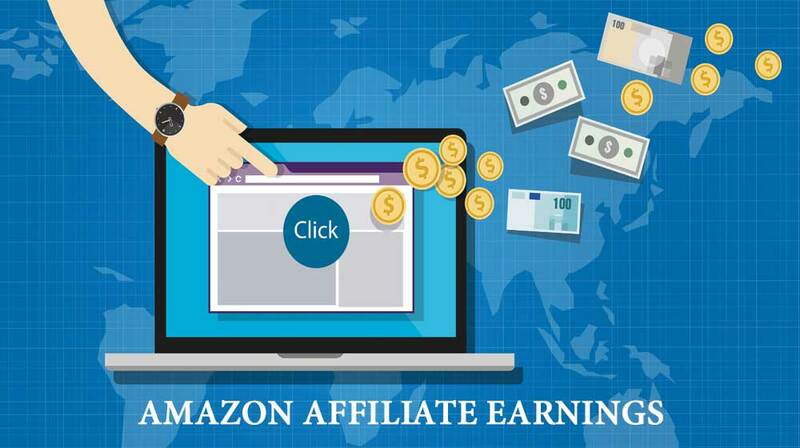 In short, the Amazon Associates program an affiliate marketing program that gives site owners commission for customers they link into Amazon. One nice feature of the program is that a reader/customer doesn’t necessarily have to buy the specific product you link to; they can purchase anything on Amazon and you’ll earn up to 15% in referrals. Truthfully speaking, not all blogs or websites will be able to make a large sum of cash from this program, but the Amazon Associates program is in fact completely free to join and is most definitely worth giving a try to earn some extra income. To learn how to maximize the program’s potential and earn the most revenue, follow these five tips below. Make Sure Your Website Is Ready. Before you even attempt to use the Amazon Associates program, you need to make sure that your site fits the bill. This means that your site should have a decent traffic flow and should already have a strong and established audience—most importantly, your audience should trust you. If your audience does not trust you, you can guarantee that your recommendations for particular products will not be viewed in high regards and affiliate links will not be clicked. While this might sound like a no-brainer,it’s equally important that the products you promote have something to do with the content on your website. All too often bloggers will market products that their audience has no interest in purchasing—after all, why would someone wanting to learn more about social media buy a cheese grater? This type of irrelevant promoting may lead your audience to become suspicious and revoke their trust. Even if the products are in fact relevant, your audience isn’t stupid and is aware of typical marketing techniques. They will begin to question the legitimacy of your site if you forcefully promote other products and sound too much like a walking advertisement. In other words, you need to find a way to promote the products seamlessly and naturally. An easy way to do this is to create a “best-sellers list” while simultaneously linking products to the items that are featured in the article. Another way is to encourage “hypothetical” shopping sprees. Here, you describe to your audience that if you had a limitless supply of money, these are the items you would buy. Make sure to list why you would purchase these items in order to ensure credibility. Allow Readers to Review Products. While you can review a particular product to persuade your audience to click through to Amazon and purchase items, an even better marketing strategy to get a dedicated reader or guest post blogger to write up a review on a product instead. This way, readers won’t feel like they’re being duped since an unbiased person is evaluating the product. Lastly, you want to make sure that you promote products at the right time—pay close attention to seasonal changes and holidays. For example, if you have a technology site and Father’s Day is around the corner, what better way to increase your audience’s purchasing power than by promoting the “Top Tech Gifts for Dad.” You also need to be aware of what “buying stage” your audience member is in. For example, if your website focuses on Photoshop tips and tricks, chances are you might not want to focus on promoting Adobe Photoshop too much—think about it, your audience obviously already has the photo editing software. But if you are promoting the latest new and improved version, then you may be able to earn some revenue.